E. Lily Yu is one of the four writers featured in AALR’s new series of interviews with young Asian American speculative fiction writers. 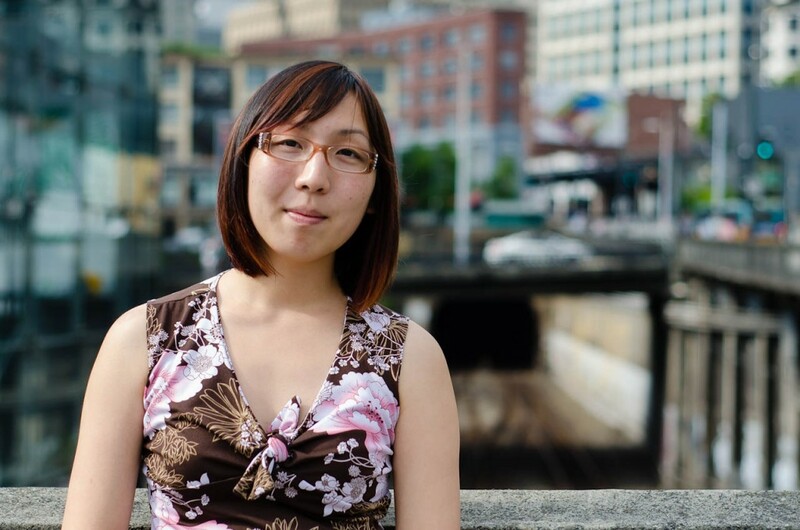 In this interview, Yu shares with us the journey of her breakout story, “The Cartographer Wasps and the Anarchist Bees.” Photo by Tiffany Ira Huang. AALR proudly presents a new series of interviews with four young Asian American writers of speculative fiction: Ken Liu, E. Lily Yu, Charles Yu, and Ted Chiang. All under 45, these writers have amassed numerous major science fiction and literary award nominations and awards–evidence of their ability to bridge the parallel universes of speculative and mainstream literatures. Their work differs radically, ranging from peculiar fables to intricate meditations on the relationship between humans and technology. But taken together, that work exemplifies the kind of intersectionist worldview that shifts conventionalized perceptions, encouraging us to think across traditional social and literary categories. Conducting the interviews is Betsy Huang, Associate Professor of English at Clark University, author of Contesting Genres in Contemporary Asian American Fiction (Palgrave, 2010). In my AALR interview with speculative fiction writer Ken Liu earlier this year, Liu concluded our conversation by singing the praises of E. Lily Yu and her lovely breakout story, “The Cartographer Wasps and the Anarchist Bees.” Published in this year’s April 11 issue of Clarkesworld, the story was nominated for a spate of prestigious science fiction awards, including the Nebula, the Hugo, and World Fantasy. Intrigued by Liu’s description of Yu as a “subtle and sophisticated writer” and her story as a fable of anthropomorphized bees and wasps with “deep political undercurrents,” I read the story that very night. Liu was right; the story’s elegant prose and layered mapping of colonization, captivity and assimilation onto an alternate world left me with much to mull over for days. 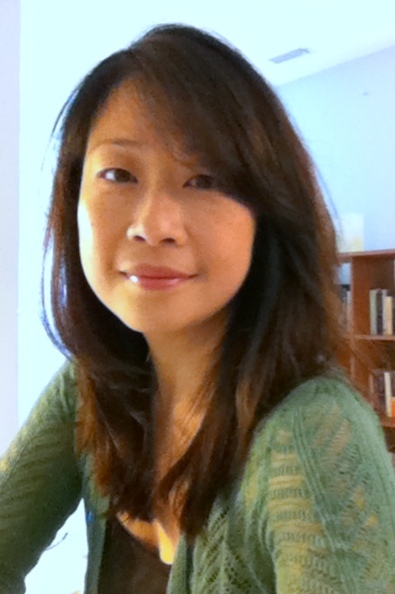 Interviewer Betsy Huang is an Associate Professor of English at Clark University. Born in Oregon and raised in New Jersey, Yu is a graduate of the West Windsor-Plainsboro school district, the now-defunct Governor’s School of the Arts, and Princeton University. Her short stories and poetry have appeared in Clarkesworld, The Kenyon Review Online, Cicada, and The Best Science Fiction and Fantasy of the Year, and have been shortlisted for the 2012 Hugo, Locus, Million Writers, and Nebula Awards. Yu and I talked over Skype in late August; shortly thereafter, she was announced as the winner of the 2012 John W. Campbell Award for Best New Writer at Worldcon in September. Betsy Huang: Please share with us a brief history of E. Lily Yu–where you grew up, how you grew up, your education, your current employment, your hobbies and interests. E. Lily Yu: I was born in Oregon but raised on the East Coast. My parents first moved to Somerville, Massachusetts, then to Wakefield until I was five, then to Lawrenceville, New Jersey, and we finally settled down in West Windsor. I graduated from WW-P HS South in 2008 and from Princeton in 2012 with a major in English and a certificate in biophysics. This July I moved to Bellevue, Washington, to work at Bungie on a six-month contract as a game writer. I play the flute, dance ballroom and Latin, and I juggle. BH: At what point did you realize that you could–or want to–write seriously and professionally? ELY: I’ve been writing for as long as I’ve been reading. I only realized I could write seriously for a living when I was seventeen, while I was at the New Jersey Governor’s School of the Arts. We were high school students but the faculty treated us as if we were all certainly going to become writers, and by the end of the month they had me convinced of it as well. BH: Sounds like a great program. How did they treat you like professional writers? ELY: The faculty–Richard Weems, Roberta Clipper Sethi, Cat Doty, Peter Murphy, Doug Goetsch–had us freewriting and doing painfully specific writing exercises every day, from Oulipo forms to requiring midgets and anagrams in our stories. They discussed with us the craft, life, and practice of writing, and encouraged us to start sending out our work, which was something I hadn’t thought about doing before. Shortly after the program ended, I published my first story. BH: How long was the program? ELY: One month. The Governor’s Schools were fully funded and supported by the New Jersey government and spanned all the disciplines from international relations to science. The one I attended was for the arts. The program was established in 1983, and the funding for it was discontinued the year I attended. It struggled through a shortened week-long session in 2008, then disappeared. BH: That is a shame. It sounds like a wonderful and valuable program. But it is also precisely the type of program that is so very vulnerable to cuts in public funding these days. What about your time at Princeton? Were there courses you took that were influential to you as a writer? ELY: All of them. I took a full-year, two-course program my freshman year called Integrated Science, which taught the intersections of biology, chemistry, physics, and computer science and helped us to see these subjects as a coherent whole. I originally declared a major in physics as a result, but I changed my mind shortly afterwards. Toward the end of sophomore year I took a graduate course with Sophie Gee and Claudia Johnson on the 18th-century novel. It was one of the most astonishing and mind-expanding classes I’d taken, and I figured that there must be more where that came from. The other reason I found my way to the English Department was that I thought it would afford me more time to write. This was especially true during my junior year, when I was writing a story a week, a pace I was not able to manage as a physics major. BH: Was that a self-imposed pace? ELY: That was the semester when I took Advanced Fiction with Colson Whitehead. We were only required to write one story every two weeks, but I managed to write two and submit the better one to class. BH: You also mentioned in an earlier correspondence with me that you had taken a graduate seminar in postcolonial literature and theory with Simon Gikandi, the African diaspora and postcolonial scholar at Princeton. I, of course, immediately tried to draw connections between what I could speculate about the course content and the themes of “The Cartographer Wasps.” Did the course inform the story’s conception in any way? ELY: Yes–he was also my thesis adviser. I read Edward Said at the beginning of freshman year, which was when my sense of the world began to change. My theoretical positioning on being Asian American and being a citizen of one of the great empires of the world, so to speak, also began to shift. Professor Gikandi’s course was a refinement of some of the very rough ideas I was starting to form about my place in the world, and the place of all of us. It was in his course that I learned about Macaulay’s “Minute on Indian Education,” which set forth the British method of training up native officials in India as intermediaries who govern their fellow Indians but who can never, as Homi Bhabha pointed out, be considered truly British. Similar situations can be found prior to independence in the Caribbean, also in the Manchukuo government and elsewhere. All of this was in my head when I was writing “The Cartographer Wasps and the Anarchist Bees.” It’s not about bees. BH: [Laughs] No, it’s not. We figured that out. Well, it is a little about bees. BH: This bee story that isn’t really about bees has been nominated for the Nebula and the Hugo this year, which, for the uninitiated, is a huge deal, especially for a young newcomer like you. What do these nominations mean to you? ELY: So far, they’ve meant that I’ve talked to a lot of people and gone to a lot of places that I would not have had the chance to otherwise. All of a sudden I’m getting the odd, kind email from someone who’s read and enjoyed my work. Like many writers, I’ve spent years feeling as if I were talking to myself in a nice, dark vacuum where no one else could hear me. Now when I hit a low point and think, I’m not a good writer–I give up, I can comfort myself with the knowledge that other people have read my work, and that some of them even like it. I also ran into Neil Gaiman while singing folk songs with other writers at the Nebulas and persuaded everyone to sing “Greensleeves” to him, and later it turned out that he knew who I was and had read my story. Which is everything that I could ask of the universe, to be honest, and more. BH: Most of the award nominations and critical attention you’ve received come from the science fiction and fantasy community. Do you see yourself as a science fiction writer? How do you see your own writerly identity? ELY: I’m twenty-two. I figure I have another ten years to resist, kicking and flailing, the pins and jars and formaldehyde of the genre taxonomist. I am a thoroughly non-realist writer. I write everything from literary fiction to fantasy, and I usually don’t consider the boundaries between genres, which are, I think, arbitrarily imposed. There is a great deal of literary fiction that is at its heart science fiction, say Atwood and Lessing, and a great deal of science fiction that is not grounded in science at all but is essentially fantasy. Likewise, literary movements such as fabulism, surrealism, and magical realism are playgrounds for both fantasy and literary fiction. It’s an interesting intellectual exercise to organize them, but not necessarily important to the writing itself. BH: Right now you have short stories and poetry in your portfolio. I also read that you are in the midst of writing a novel. Are the short story and poetry your preferred forms? ELY: They’re the ones that get published. I’ve written two or three novels so far, which I’ve wiped from my memory. They are terrible things that will never be seen again in the light of day. But they were good exercises in writing. A lot of what I’ve written–most of what I’ve written, actually–has not been published. Some of it is truly awful stuff. Some of it hasn’t found the right market yet. And placing and publishing stories takes a lot of time. What I’ve found is that poetry and short stories are time efficient. When you are trying to work in the narrow window between two problem sets, it’s easier to write a short story than, say, a novel chapter, which requires continuous thought from session to session. Switching between poetry and fiction also keeps me from stalling in either genre. BH: What is your sense of the readers to or for whom you write? What do or don’t your ideal readers know? ELY: If I had the luxury of defining an ideal reader, it’d be someone who knows much more than I do, someone who stays on top of current events and is interested in history and science. It’s someone who is interested in the direction we’re going in as a society, in particular as a scientific society. It’s a reader who is enlightened about and open to race and gender, who likes reading everything. In short, someone who is not me. BH: Not you? Why do you say that? ELY: Because I don’t know very much. BH: I’m going to go out on a limb and say that you’re pretty open to race and gender issues. [Laughs] With regard to placing stories and poetry, how do you decide readership? The science fiction and fantasy community has its established venues, and so does the mainstream literary community. How do you decide where to submit? ELY: If I feel that a story is more likely to be well received by one genre, I’ll start sending it to journals in that genre. But I usually end up sending it to anywhere I feel it fits. The main difference is response time. Lightspeed, for example, will reject me in a week, whereas The New Yorker takes ninety days. And so it’s usually more efficient to collect rejection letters from the science fiction side, and then start submitting to the slower mainstream fiction markets. BH: What about “The Cartographer Wasps,” which appeared in Clarkesworld? ELY: Clarkesworld was the first place I sent it. It’s one of those crazy things. BH: Now that your fiction is getting more attention, you might be more aware of the readers’ perspectives and readings of your work. Have you come to new readings of your own stories? ELY: The stories haven’t become unfamiliar enough for me to analyze from a readerly standpoint quite yet, but I do remember what I was trying for. Reading “The Cartographer Wasps” now, I think that the theories I borrowed from and the intellectual direction I was taking are still the same. But I thought the ending was a happy one. BH: Some readers took it differently? ELY: You mentioned in an earlier exchange that you thought the anarchist bees had become inconsequential by the end of the story, and I was somewhat surprised. If I failed, I failed. But I meant the ending to be optimistic. Because you knew that what the first anarchist bees started was going to continue. Because there is a drive in an inadequate or failed society to break out of the current mode or establishment and find something better. What the bees attempted might start and fail again several times, but it would continue. I wrote it in December 2010, which was a couple of months before the protests at Tahrir Square, and almost a year before Occupy Wall Street, both of which, in my view, were beautiful efforts in their initial conception that did not succeed on their first try. We can hope that in the end what comes out of these struggles will be higher and better societies than what we know now. BH: There’s an element in the story about the importance of documentation, of knowledge and events that are recorded and reported in writing. In the case of the anarchist bees, their experience may seem Caliban-like, though they don’t necessary “curse” with the language acquisition. They are more analogous to a colonial condition in which they learn the language of the colonizers, have begun to use it for their own liberation, but are punished by their masters for trying to dismantle the master’s house and building a house of their own with it. ELY: In Gikandi’s seminar we discussed, among other matters, the peculiar impulse of imperial bureaucracy to produce text after voluminous text, document after document, a compulsive record of everything that often had to be burned afterward when the truth became untidily inconvenient. The maps are an aspect of this fixation on description and delineation–a feat of art and science, yes, but also a forced projection of a nonlinear, non-Cartesian world into the neat coordinates of a conquering power. BH: What role do the humans play in this story? I was really intrigued by the fact that you had first written the story without the frame of the humans. ELY: They are an index to transcendence. ELY: At the end of Maurice Maeterlinck’s The Life of the Bee, he makes a fantastical leap from an apiary society to a human one. When beekeepers open a hive to extract the honey, the bees have no way of understanding what is going on. They think the beekeepers’ smoke means a fire in the hive, so they cram as much honey as they can and grow sluggish and distended and unable to sting. Maeterlinck talks about being completely unaware, while living and working in this busy, bustling, self-contained society, of that transcendent or divine intervention that comes from outside of comprehension to rob or wreck or rescue that society. He asks us: “Who might be watching us as we watch the bees?” I thought it a beautiful conceit at the end of an elegant treatise on bees. BH: You seem fascinated by some intersections between the existences of humans and insects. You kept bees yourself, right? ELY: I studied entomology in high school as part of Science Olympiad, and it keeps sneaking back into my work. The two poems I have in Jabberwocky are both full of insects; one’s a dialogue between a damselfly and a dragonfly. I think my fascination with insects and their strange lives is like other people’s fascination with aliens, except that I have documentary evidence. BH: That’s interesting, because popular film and TV, such as The Matrix and the Borg in the Star Trek universe, tend to cast the beehive or the swarm as a trope for the antithesis of or threat to liberal humanism and individual sovereignty, which are sacrosanct Western philosophies and ideologies. But I feel that you do something very different with your bees. ELY: There’s always been, as far back as Virgil’s Georgics, a strain of intellectual curiosity about the parallels between human society and the eusocial societies of ants and bees. It leans more toward bees, because domestication brings us into close contact with them. I’m not quite sure why philosophers and writers all through history are so fascinated with this one model organism, if you will. The idea of the hive mind and the hive as antithetical to human existence is a fairly modern notion that came about only recently, now that people are no longer close to the methods of food production. When we can no longer tell apart wasps and bees, we can begin to call the hive a threat to humanism. I think it’s part of a growing modern aversion to many parts of the natural world and a preference for a much more sanitized, glass and steel existence. It’s rather unfortunate. BH: Yes–it’s part of our consumerist culture’s continued estrangement from labor and modes of production. We forget that nature is part of those modes, in a way. Were there other reader reactions to “The Cartographer Wasps” that surprised you? ELY: Everything I’ve read so far has surprised me because I didn’t expect any responses. The fact that anyone besides my close friends was reading it was a surprise and a delight. One reaction that I find puzzling is the fight over whether the story is science fiction or fantasy, or neither. There are people who ask why it was nominated for a Hugo because they felt it was a work of fantasy, and there are people who ask why it was nominated for a World Fantasy Award because it is clearly science fiction. And I’m just going to throw up my hands and stay out of it. BH: So what is the feeling you’d like to remain with the reader at the end of “The Cartographer Wasps”? ELY: I had hoped for a kind of sadness that is catalytic to a change in perception, and also a gladness that something beautiful was not going to disappear forever. ELY: For that one, I meant to have complete, life-emptying, exhausting sadness. [Laughs] No, no. That one was supposed to be just sadness. But also a kind of satisfying sadness, like letting go of a held breath. Haven’t you ever had the experience of walking down the street, and one or two or an entire row of lamps light up just for you? BH: Hmm…no, I have not. Or, if one has, I’m sure I had nothing to do with it. Sometimes I am a terrible rationalist. ELY: After writing the story I found out that the phenomenon is called street light interference. It’s happened to me a couple of times, but the story came from someone else I knew, who pointed out a lamp that always switched on when he passed by. I aimed not only for sadness, but defamiliarization and a lingering sense of wonder, so that when you’re walking down the street and a light flickers, you look at the world a little differently. BH: Are there any authors or works that you have a burning desire to recommend to others? ELY: The two books I’ve been throwing at people for the longest time are A. S. Byatt’s Possession and John Crowley’s Little, Big. BH: I have not read Little, Big. Why that book? ELY: Because Crowley does incredible things with realism and surrealism and fantasy that have never been done before in the genre, and have not been done again. The novel does incredible things with language. It’s one of the most perfect novels I’ve ever read and it makes me insanely jealous for not having written it. BH: High praise indeed. What about Possession? ELY: In high school my best friend gave me a copy, and I still love it. It’s about two academics chasing down a fictionalized Robert Browning. To someone with academic leanings and a great fondness for literature, it’s like candy. BH: Do you read fiction by non-science fiction Asian American writers? ELY: I’ve read Maxine Hong Kingston, Amy Tan, Lisa See, and quite a lot of the standard curriculum Asian American fiction. Not a great deal has stuck with me as of yet. Now, this is cheating on the question, but when I was in middle school, I read everything by Laurence Yep that I could find. It was Asian American fantasy at its finest at that time. There was no one else doing what he was doing at the time. For someone who adored medieval fantasies and female knights and mouse knights hacking and slashing their way through obstacles, it was also inspiring to read about dragons stealing pearls and monkey kings and things like that when I was growing up–things that are not reflected in the rest of English-language fantasy. BH: It’s great to hear that you found your way to Laurence Yep as a kid. As for the “standard curriculum” and canonical Asian American works being taught in college–any thoughts on why they haven’t stuck with you? ELY: I’m not sure. It may be that I am second generation, not first. My parents came to the University of Oregon in the eighties after graduating from Lanzhou University as part of the Chemistry Graduate Program. The problems they had to deal with were worlds apart from the problems I had to deal with. What they did was infinitely harder than what I had to cope with growing up. I am still in awe of what my mother, in particular, had to do to end up here and to raise me. But while the concerns of that generation fascinate me, they are not as intensely personal to me as they are to first-generation readers. Kingston, in particular, is an amazing writer, and I admire her work, but I don’t have the personal attachment to it that comes of living that life. BH: Perhaps those works don’t stay with you because you are interested primarily in non-realist modes, whereas so much of early generation ethnic literature is in the realist mode because of the social and political exigencies that encouraged many of the authors to write in that mode. ELY: The Woman Warrior is going to be an exception to anything we say. But I am thinking, best online casino too, about some general differences between Asian American writers and Asian Anglophone writers. There’s an Indian tradition of magical realism–Salman Rushdie, Arundhati Roy, and many others. I’m more drawn to these writers and their work than to East-Asian American realism. BH: Yes. It’s interesting to consider to what extent conditions of coloniality–post, semi, internal, and so on–line up with literary modes of choice. So to close: if you were to teach a course in speculative fiction, what would you teach? This is something you might begin to think about because you are entering the doctoral program at Cornell soon? ELY: Yes. I deferred it for a year to work, and to figure out whether I’m cut out for a life in academia. As for what I’d teach, I’d have to read so much more, for a start. I can give you a first stab: John Crowley’s Little, Big. Junot Diaz’s The Brief Wondrous Life of Oscar Wao. Colson Whitehead’s The Intuitionist. Rushdie’s Satanic Verses. Something or everything by Le Guin, and certainly her essay collection The Language of the Night. Neal Stephenson’s Snow Crash. Ray Bradbury’s Martian Chronicles. Atwood’s The Handmaid’s Tale. Naguib Fahfouz’s Arabian Nights and Days. And also Kelly Link. And Karen Russell’s Swamplandia. Swamplandia is literary fiction–it was a finalist for the Pulitzer–but it also feels intensely unreal and magical at many points in the novel. It’s got alligator wresting, after all. BH: Sold on the alligator wrestling. And, finally, what question would you like to be asked in interviews that never seem to get asked? ELY: Whom do you owe? Who has a claim to your firstborn, your left leg, your heart? I’ve noticed that writers incur deep debts to people who love them: the wives who do their research and type up their manuscripts and occasionally write their books, the friends who add or remove bottles of alcohol as necessary, everyone who puts up with their griping. I’ve also been fortunate to have friends, past and present, who gave me their love, patience, line-edits, and comments, kept me standing and sane, and taught me most of what I know. Teachers, professors, librarians… Joshua Katz, Rick Wilber, and Sheila Williams believed in me when no one else did. My family gave me the obstinacy I needed to survive. There has been a lot of darkness but an equal amount of light, and I certainly wasn’t responsible for the light. This entry was posted in Interviews and tagged betsy huang, E. Lily Yu, interviews, speculative fiction. Bookmark the permalink.